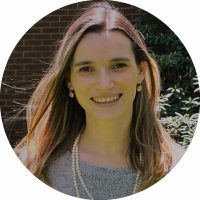 Carolina Rudinschi, Ph.D. is the Co-founder of IIoT-World.com, the first Global Digital Media Outlet dedicated 100% to Connected Industry, Industrial Internet of Things, Industry 4.0. In less than six months she managed to get IIoT-World on the radar of IIoT Influencers and enthusiasts, now being the number 1 influencer on six topics according to one of the ranking websites in this industry. Carolina is the author of a Digital Media Book, and she brings a wealth of experience in Research, Journalism, and Social Media Marketing. She has a Ph.D. in Digital Journalism, and she is experienced in running campaigns on Google AdWords, Facebook, Twitter & LinkedIn. HOW DID YOU GET TO BECOME AN EXPERT IN INDUSTRIAL IOT? That’s an exciting story. My background is Digital Journalism and Social Media Marketing. I also used to teach at the University of Bucharest a few years ago. Back in January 2017, I partnered with Lucian Fogoros, an entrepreneurial software engineer with global business leadership and passion for digital transformation that has spent his entire career in the industrial software industry. In February 2017 we launched IIoT-World during the IoT Evolution Conference in Fort Lauderdale, Florida with a mission to educate C level folks on the opportunities in the Industrial IoT space. Our goal was to build a community around our platform and engage with Subject Matter Experts to share their experiences, challenges, and opportunities. Becoming an influencer is a byproduct of sharing great content in on a constant basis. In less than a year we added to our website more than 150 partners from around the world, and their stories became noticeable especially via Twitter. We went from zero to 21 k followers in these 11 months, and a considerable role in this achievement was played by other IIoT influencers that helped us to spread the word. To answer your question: I became an influencer by selecting/publishing and promoting great content, that has been amplified by my peers in this field. On the one hand, my background in digital journalism and SMM helped me to select my sources and the right tools for creating a buzz around IIoT. On another hand, my partner’s industrial background helps me filter through the noise and identify what’s real on Industrial IoT. We don’t promote press releases; we don’t put banner advertisement on our website. Instead, we publish thought leadership articles and sometimes sponsored educational collateral written by people that are right now in the process of Digital Transformation within their companies, people that are encouraged to innovate and create new IIoT solutions. Our mission is to create a culture of innovation by connecting the SMARTS: industrial technology, manufacturing, sensors, and CXO decision makers. That was our key to get loud, and we will continue to deliver content that can stand out. Every day we find out about new great solutions/products that are already changing the world! WHAT AREAS OF INDUSTRIAL IOT ARE YOU MOST PASSIONATE ABOUT? Smart Cities, Cybersecurity and Predictive Maintenance. WHICH INDUSTRIAL IOT INFLUENCERS INFLUENCE YOU? Benson Chan, Senior Partner at Strategy of Things, a transformation management consultancy helping companies innovate for a hyperconnected world. He has over 25 years of scaling innovative businesses and bringing innovations to market for Fortune 500 and start-up companies. He is a recognized domain expert and thought leader in networking, cloud, enterprise IT, Internet of Things (IoT), innovation management, business model innovation, and go-to-market. Benson has held project, management and executive positions in innovation-driven organizations, including NASA, Hughes Aircraft Company, PricewaterhouseCoopers, Cisco and Pakedge. YarmolukDan, a professional speaker on Digital Transformation, Daca Science, and IoT Business Models topics. Dan has been involved in analytics, embedded design and components of mobile products for over a decade with a focus on creating and driving IIoT automation, condition monitoring and predictive maintenance programs with technology with how analytics and business models intersect to drive added value and digital transformation. He has an MBA and finishing his graduate degree in Data Science. Daniel Elizalde, an Internet of Things (IoT) expert with over 17 years of experience as a product leader, consultant, and software engineer. He is the founder of TechProductManagement, and the creator of the IoT Decision Framework, a comprehensive method for IoT product management & strategy. He is also adjunct instructor (Product Management for the Internet of Things) at Stanford University. MikeQuindazzi, Managing Director for the Southwest area of PwC. Mike has 28 years invested in gathering industry experience & crafting his management consulting abilities; leading teams & global companies on strategy & transformational initiatives. OUTSIDE OF INDUSTRIAL IOT WHO ELSE INFLUENCES YOU? Ludmila Morozova-Buss, Executive Partner at Brooks Consulting International & the Vice President of the Global Institute for IT Management, Featured Contributor at BizCatalyst 360, Contributor at The Digital Transformation People and the owner of The Global MegaTrends Roundtable. Her focus is more on cybersecurity, but she also shares great articles and infographics on Digital Transformation and IIoT. Michael Fisher, a System Analyst, Cyber Security expert and a technology evangelist who assists individuals expand their knowledge by raising awareness with education. With 15 years’ experience as a consultant and 6 years’ experience in manufacturing, his drive for innovation primarily focuses within the Industrial Internet of Things. Ratan Jyoti, a Cyber Security Researcher & Leader, Influencer, Author, #CISO @UjjivanSFB. Kirk Borne, Data Scientist. Public Speaker. Consultant. Astrophysicist. Space Scientist. Big Data & Data Science advisor, TEDx speaker, consultant, researcher, blogger, Data Literacy advocate. Worldwide top influencer since 2013. Ronald_vanLoon, Pradeep Rao, Andreas Staub, Christine Boursin, Sally Eaves, ipfconline – are just a few other names that share great content related to Digital Transformation/Industry40, even their main focus is not IIoT. Also, I check every day what’s new in CBInsights. “Current numbers of sensors at typical process plants cluster are around 40,000 sensors. The IIoT will increase those numbers exponentially to something over 250 000 sensors per plant. Each of those sensors will be producing near real-time data at an update rate of four times a minute, or 250 milliseconds per datum. That means each sensor will be producing over 5,000 data points per day. That’s 1.44 billion data points per plant, per day. Each of those sensors needs to be monitored and diagnostically checked for proper operation as part of the network.” Frank Williams, CEO of Statseeker. This means that companies will invest much more in the next 12 months in IoT Analytics and network monitoring solutions. IBM, SAS and SAP are all heavily investing in Analytics. Siemens also announced that in 2018 will invest more in Analytics and AI, Additive Manufacturing, Simulation and Digital Twin. What does 2018 hold for ICS cybersecurity? Some of our contributors answer your question in this article. Together with my partner and the team at IIoT World, we help companies get exposure to our exponentially growing Industrial IoT focused audience and guide the development of the right content to the right people at the right time. We offer virtual conferences & webinars, lead generation or awareness campaigns, writing articles, whitepapers, reports, speaking engagements, infographics, podcasts, video blogs, live event broadcasting via various channels, etc. Will be happy to connect via LinkedIn or Twitter. Also feel free to contact me via email at carolina@iiot-world.com.